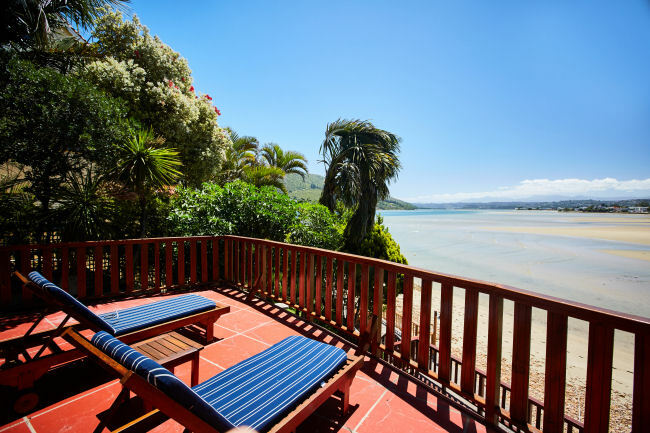 Milkwood Bay is an exclusive five-star, self catering, beachfront villa on the edge of the Knysna Lagoon. 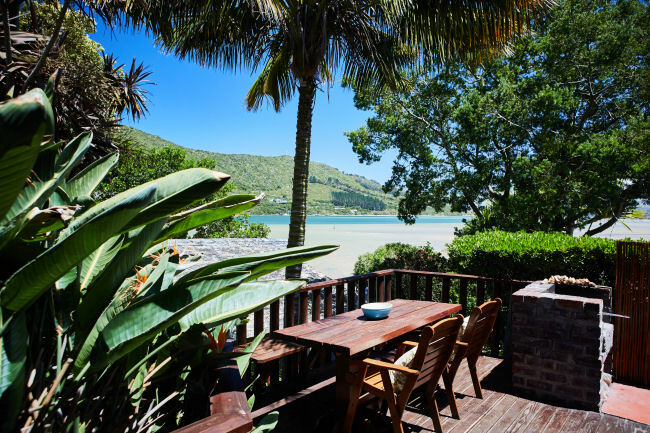 This unique and well-equipped house offers breathtaking views across the tidal waters to the distant Outeniqua Mountains. With five spacious en-suite bedrooms, a partially enclosed heated swimming pool, a sauna and a garden-level entertainment area, this elegant home caters to every comfort and ensures a luxurious stay.